The wonderful team at Yoast.com came out with a new plugin on February 19th and its already been downloaded over 1,500 times. It’s called Convert Experiments by Yoast (though on the Yoast.com site it’s called Yoast Convert Plugin). I was excited to hear about it because Yoast always puts out amazing stuff for the WordPress community. If you are looking to be impressed, you need to set up an account on Convert.com – that’s where most of the action takes place. Convert.com is not a Yoast service, so don’t get confused by that. Yoast put out the plugin and partnered with Convert Insights to make it. If you are wondering what A/B testing is, what “conversion” means and what “MVT” stands for, you have to learn all that before this plugin will be of any use to you. If you are wondering what benefit this plugin will have to your site, you probably are not part of the demographic it is targeting (but competing companies want to be your friend — see below). That being said, as someone who’s had exposure to the concept of conversion testing before, even I was confused. So you’re not alone, don’t worry. Now let’s try to explain this a bit more. Conversion testing and experiments are, in short, kind of like scientific psychological studies conducted on your website. You create two or more versions of a page. Usually there should be one difference on each of these pages. It could be the headline, the color of a button, or the number of fields in a sign up form. There are an enormous number of elements to test against. If you remember high school science, you’ll know that experiments need control and variables. The more variables, the less control your experiment will have. The idea is that if you change just one thing at a time, then lead (or ‘split’) your traffic to separate versions of your page, you can test what works to make you more money (usually). The goal doesn’t have to be sales though. It can be more bookings, more subscribers, more downloads – the goal is up to you. When people take the action you want them to take, they have completed the ‘conversion goal.’ In other words, they converted from being just a site visitor to being your customer, subscriber, webinar attendee, and so on. If it’s one headline that results in more people converting than another headline, that becomes your conversion metric. Conversion metrics typically show as percentages that measure the effectual difference of the two headlines on your two pages. How do we gather these metrics and percentages? Well, we have technological tracking tools to automate this for us nowadays. This is why you would become a customer of a company like Convert Insights at Convert.com; they will help you with the tracking part. What Does This Have to do With Yoast? 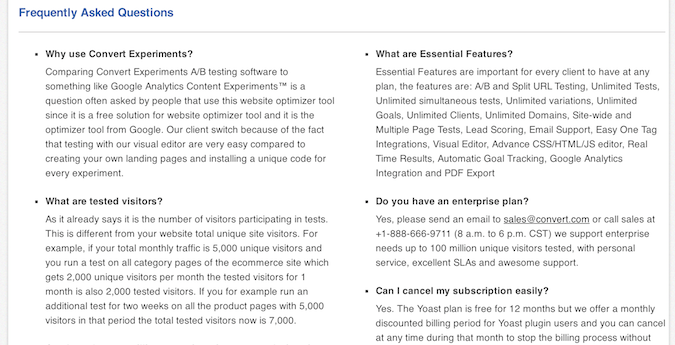 Getting back to defining the new Yoast plugin, all it does is help you use another company’s conversion testing software on your WordPress site. The Yoast site says they will add more features soon, but we don’t know what those will be. (We tried reaching out to Yoast to gather more intel but haven’t gotten a reply as of the time of writing, and it’s been a couple weeks already). If You’re Interested in A/B Testing Experiments…. First of all, I will say up front, after having tried to use the Convert Insights tool with a free Yoast account, if you really want to get into site experimentation and A/B split testing as a beginner, there are much easier and well-guided tools to do this. Unbounce (for which you have to use a CNAME to direct an Unbounce-hosted page to a subdomain of your site). This is what the folks at KissMetrics do and conversions is their specialty. OptimizePress (which works inside WordPress as either a theme or plugin). This is a great solution if you want to self host your experiments and stay within the ecosystem of WordPress. Content Experiments by Google Analytics. This is a different method of doing experiments, and you may need to know your way around Google Analytics to work with this tool. However, as the owner of Convert Insights points out, these above tools won’t necessarily work well with what you have on your site at present. You typically need to create new pages for them to work (which is why they’re great for beginners). If you’re a bit more advanced, Convert Insights might work well for you, as would competing products like Optimizely or Visual Website Optimizer. Convert Insights can let you make a single change to your existing pages with a drag-and-drop tool and automatically creates the variations and splits traffic for you. Before getting into our very honest review here, we have to give this company some credit. They did just partner with Yoast and may not have been prepared for the impact or traffic that deal would generate to their site from WordPress users. They don’t have WordPress-specific instructions or tutorials on their site (unless I’m blind, in which case call me out on it and please link to a URL to help my sanity). When you try to set up Convert Insights on your site after installing the Yoast-branded plugin, you may find yourself needing a little help. A tip: you’ll have to figure out how their system works without WordPress before being able to wrap your head around how it all relates to the Yoast plugin. Though we’ve mentioned this above, we’ll say it again: the only thing the Yoast plugin does is helps you insert the code you need to use the Convert Insights tool. It’s just like Yoast’s Google Analytics plugin, which simply asks you to insert your Google Analytics account tracking ID. The real action with that plugin takes place on your Google Analytics account. Likewise, the Convert Experiments plugin provides the same type of usage, only with a different tool. So just like you have to know Google Analytics to make use of Yoast’s Google Analytics plugin, you need to know the Convert Insights tool before being able to use the Convert Experiments plugin. If many of you are not sure what to do with your free account, or how your experiment is working with the Yoast plugin, or what it is testing, it may be a sign that it is too soon for the WordPress DIY community to make great use of this tool. Or any DIY community for that matter. The Convert Insights system is admittedly not easy to understand, especially if you’re landing on their site as a Yoast-directed customer. Let me clarify though: it’s not hard to enter your URLs and IDs into form fields and click “save”, but it is hard to understand what the purpose or aim is of what you’re doing without any background knowledge on the product or industry. So you have to start digging. That’s when doubt creeps in. The first thing you’ll notice when trying to learn about this company is that there are a lot of grammatical errors and typos on their website. Like a lot. One or two typos are forgivable – it happens to the best of us. But this site is clearly written by non-native English speakers, which represents a lack of reasonable effort on their part. When I read the Yoast landing page on their site, I instantly lost confidence in the company. I thought, “is this for real?” As in, I thought it wasn’t a ‘serious’ company. How can a world-class company attempting to serve an international clientele not have hired an English-speaking copywriter to fix this? Did they really overlook copywriting as a conversion testing company? Or did they hire cheap overseas SEOs to ‘optimize’ their content? Nonetheless, I persisted because of the Yoast brand, and only because of the Yoast brand. In my mind, Yoast is known for quality, so if Yoast endorses something, I’m more likely to trust it. Even though my trust was dwindling. 3000 big ones! I was skeptical but couldn’t judge until I saw it. The e-book contains very obvious points that I can’t imagine took a professional an entire year to collect. To give one example, there is a tip that says to make sure your phone number is “displayed prominently.” Oh, and make sure you list your hours of operation. (I’m being a little harsh; some tips are valuable, but many tips are age-old marketing legends, and are asking a person to go outside the realm of their website to increase sales, which beats the point of paying for online tracking tools). Each tip is roughly 3 to 5 lines in length and does not provide research, statistics, case studies or any ‘proof’ to validate the advice being given. Some tips were dated. Like this one: “Email, fax, phone and live chat are all options that can help your customers reach you.” I’m sorry, did you just say fax? Or this one: “make sure your site…does not require excessive horizontal or vertical scrolling.” We make responsive websites nowadays. That makes it kind of hard to avoid scrolling. A number of points in the document were not being applied on the company’s own site. 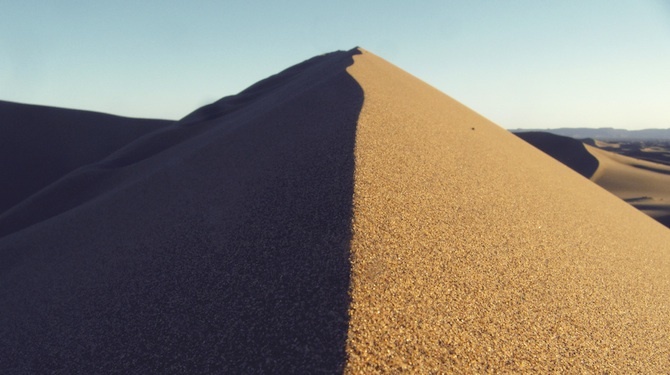 (To which Dennis replied – and I’m paraphrasing – that not every tactic works on every site). It’s not forbidden to give out tips in an e-book to help market your company, even if the tips are obvious, not being applied on your own site and have no stats behind them. But, in my opinion (and I’m only one person), to then say your e-book is worth $3,000 is crossing the line. Acting like your audience isn’t intelligent enough to know that this information can be scoured on a free Google hunt is not a smart play. At the very least, there should be an explanation of why you think it’s worth $3,000. And it should be a good one. A company that claims to help “experts” do conversion experiments should at least be conducting frequent user tests and experiments on its own site. It is very obvious there are usability problems with their system that make it hard for an unlearned user to ‘pick it up’ without a step-by-step tutorial (which you can’t find easily, if at all). It honestly feels like the kind of product that is sold through a boardroom demo by a corporate sales and training team, not a product a newbie WordPress user could figure out. I didn’t want to jump to conclusions though. Remember, the Yoast team is backing this (though at this point I didn’t know why). So I made an attempt to set it up on my own. Boring but important disclaimer: When I first tried to use this tool, as you’ll see in the video, I did not try the A/B test option because the wording made it sound like I would need to host my pages on their system. I assumed I needed to do a “Split Test” because I was using the Yoast plugin and hosting my own site. Links in follow up e-mails from the company led to this page, which seemed irrelevant to a self-hosted WordPress site and the Yoast plugin. I may be dumb, but after about 3 days of attempting to work with the system, I tried to see what would happen if I used the A/B test option. This is because, about 3 to 4 days after signing up for an account, I got an e-mail with step-by-step instructions on how to set up an experiment. The instructions did not say which type of test to pick, and it had a step that is not possible to do in the system. But it dawned on me at that point that I should try the A/B test option to see what would happen. That’s when it finally ‘clicked.’ The A/B test tool is arguably a lot easier to work with. I still was afraid of using it excessively because it seemed like it would ruin my responsive design and I wasn’t sure exactly how my variations would appear on mobile browsers. That all being said, other users may find this tool to be a lot easier than I did on first try, and credit needs to be given to the company for that. We did do UX walk in sessions on the redesign of the app that we launched May last year. We have not changed an awful lot since then, but we do get a good amount of UX tips from users and we have lots of material to work with on app improvements. Yours will be welcome as well… We did hire December 2012 to July 2013 a full-time UX person on our team for an app overhaul that improved trail to paid conversion by 100% so we were very happy with that. I’m looking forward to hire more people when we grow more. One more thing on this UX, it’s more focused on enterprise so we did see that some elements are better hidden then shown. The more options we show the more errors people make since there a lot of people in the app that like hand holding, but if you don’t know what A/B testing is, this might not be your best app, and we are perfectly fine with that. We don’t try to be the easiest we try to have great features for people that will appreciate them at this low price-point. It’s no secret the team at Yoast is growing steadily. They just released new Genesis Framework child themes and shortly afterwards released this plugin. Something tells me though that this plugin may have been released too soon. There really isn’t much documentation on the Yoast side to learn about it and its benefits aren’t yet presented thoroughly enough. If anything, the team at Convert Insights should have at least been ready with some better tutorials related to the Yoast plugin users. If that meant pushing back its release one, two or three months, that would still be better than confusing lots of potential new customers. They also really should have done a user test to figure out obvious weak points in their graphical interface. For example, clicking on something when a cursor turns into a question mark doesn’t currently help a user find answers to the thing being ‘question-marked.’ Pushing a sale the way they have done (see the video) wouldn’t, in my opinion, convince a new user to buy into their product. In my case I was, very honestly, more confused. I do hope the new features of the Yoast plugin that are yet to be released will provide clarity and motivation to use the tool in a more massively accessible way. My chat with Dennis showed that Convert Insights intends to improve as they grow, and I look forward to those upcoming changes and possibly being a customer one day. First of all, let me say sorry for the fact that we haven’t responded to your email! We were having issues with our contact form, which meant entries were sent to our backend, but not to our support system… And that was going on for quite some time, unfortunately. We’d be tracking sales of a specific premium plugin of ours, and seeing which variation got the highest revenue. Both Visual Website Optimizer and Optimizely were not able to track our sales perfectly. And ‘not perfectly’ is being very polite, as a difference of over $10,000 in one single month is not what I’d expect from companies working with such big clients. It turns out, they were only able to track our entire revenue, instead of just the revenue of one of our plugins. It was assigning sales to the variations basically at random (so they didn’t even get our total revenue right). So now you’re probably wondering why we’re going for such a tool, instead of a plugin. In our opinion, plugins simply don’t work as nicely. First of all, they need different pages (URLs) for their tests, as do the Google Analytics Experiments. This means redirecting 50% of your users, which will give a timelag that’s way bigger than using the Convert script. And this alone will affect conversions. Using a tool such as Convert is just the least intrusive by far, and will thus give the most objective data. I’ve tried several plugins, and wasn’t surprised by any of them. Most of them didn’t work at all. Maybe if you’re trying to improve engagement, these will work. But when revenue comes into play, it’s an entirely different story. You’ve also asked what our new features will be. Well, you’re absolutely right that it implements the code on every page, and that’s something we’ll have fixed on the next update. You’ll be able to include the Convert script by checking a simply checkbox on your page/post. Also, we’ll be making it faster to create/edit experiments in Convert. What we mean by this is that we’ll have a button available (maybe even in the admin bar) that will redirect you straight to Convert.com for creating/editing experiments. We would love to tell you we’re able to create a/b tests from within WordPress, but as I’ve said above here: we don’t feel that can work well with the tools available at the moment. So our plugin isn’t massive and feature packed, which is why it’s free 😉 The power really does lie in the Convert product (and the free account you can get when downloading our free plugin, which is pretty awesome, in our opinion!). Thank you for your thorough response. I think it really adds to the value of this article and page. I’m glad we have your point of view on why you chose Convert Insights; it’s really valuable to have this information and to know how well you were treated by Dennis. I am not convinced that a plugin wouldn’t do a better job though 🙂 Even Convert has to split traffic in some way after you create variations on their system. I guess there is more than one way to do this and in the end people will find the tool that they feel comfortable with or that fits their particular needs. It’s much like how we get comfortable with a certain theme framework and stick with it. I might swear by Genesis themes and Tom, our editor, just praises and loves WooThemes. I know another developer who can’t stand frameworks and feels strongly about custom-coding themes. It’s not that one is better or worse than the other, but they have different strength that appeal to different people and knowledge backgrounds. Anyway, now my response is getting long as well. Just wanted to say dankjewel for the comment! Super appreciate you taking the time to do this! Next time we talk I really hope it is about stroopwafels and Sultanas. I think I could start a business importing Sultanas to Canada and get rich over it. Not even the Dutch store here sells them, which makes my life miserable 🙂 Yet the supermarkets are already selling speculoos here. Or we could do a Convert.com split test on a website and see what people would buy more: stroopwafels or Sultanas. Hi, I´m the co-founder of Nelio A/B Testing (http://wp-abtesting.com ) a native WordPress A/B Testing service. We believe the best way to bring A/B Testing to WordPress is to offer a native WordPress solution that does not need nor use external tools. For sure, I´m not saying our tool is perfect (I´ve to admit that good tutorials are also missing on our site, we’re working on them!) but I´ll be happy if you give it a try! (and for @Joyce and other bloggers interested in reviewing it,we will give you a free access to Nelio A/B Testing, professional plan, for 6 months). Excellent, well researched review. I would think that your usability review should be at least worth $3k to the company and probably much more — if they pay attention to it. Strikes me that they could address their weaknesses by recording a set of 3-7 videos with some example test and training docs. @Troy… saw your recommendation of a google contents experiment plugin, and that is good, but does not offer the range of testing within the tools listed in this article. Thank you for the well thought out response Scott 🙂 Really appreciate it 🙂 I also think the problems can be easily addressed with clearer communication – even just changing a few words in some sentences can make a huge difference. It’s too bad many, many companies don’t place enough importance on communication. It relates to everything! We’re currently using Video Manuals on our clients site which this team built and am really impressed. So this option looks the most promising.